April 21, 2008, began like any other Monday for Walter and Holly Jeffries. The swineherd owners of Topsham's Sugar Mountain Farm loaded live pigs into their van and headed to their local butcher, as they did every week. They planned to return three days later to pick up hundreds of pounds of sausage, roasts and chops, which they'd later deliver to shops and restaurants. As the farmers and butcher settled into their usual banter, the butcher announced that he was quitting the business, once he filled his current orders. "Do you want to buy my place?" he asked them. The couple didn't, but the jarring news spurred them to overhaul their business model — and to launch a project that would become their focus for the next decade. A week later, Walter Jeffries met with Randy Quenneville, meat programs section chief at the Vermont Agency of Agriculture. "I want to build a butcher shop," the farmer said. "What do I need to do?" Quenneville handed Jeffries a banker's box of printed regulations. Later, so did the regional U.S. Department of Agriculture food safety and inspections chief. The farmers spent months reading through myriad ways to accrue — and avoid — federal and state food safety violations. 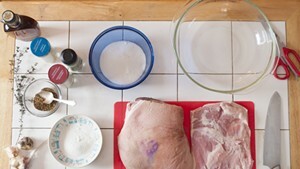 Together, the family — Walter, Holly and their three homeschooled children, ages 5 to 16 at the project's outset — researched swine slaughter and butchery. They pored over animal-behavior pioneer Temple Grandin's work on humane slaughter. Shop drawings in hand, Walter even solicited a review from Grandin, and the two exchanged notes via email. To learn meat cutting, the farmers spent 18 months apprenticing under Fairfield-based master butcher Cole Ward. As the butcher shop took form on paper, and in hopes and dreams, the Jeffries family studied building codes, materials and methods. They secured permitting and leveled a building site, laying the groundwork for a project that would turn them into design-builders, engineers, project managers, concrete pourers, plumbers, electricians and finish carpenters, among other occupations. Son Will — a teenager at the time — taught himself to weld, then fabricated the stainless-steel doors that form gleaming portals between the new facility's labyrinthine workshops and arched atria. 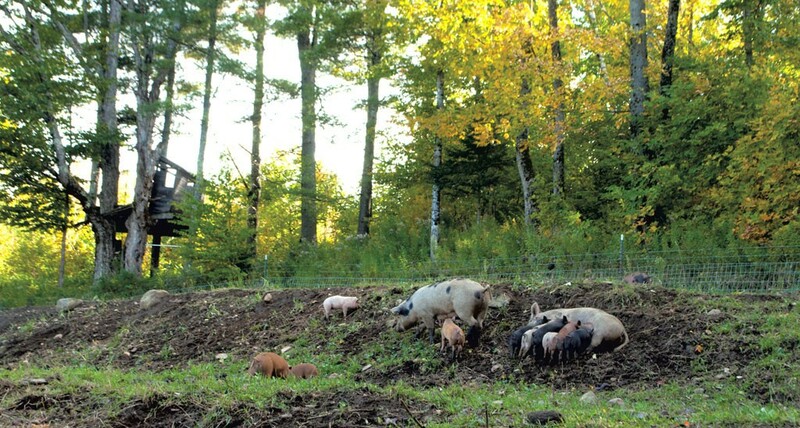 Avoiding bank loans or grants, the farmers funded the project through income from their pastured pigs and sustainable-forestry operation (90 percent of the property is wooded); loans from friends and family; and a modest crowdfunding campaign. Aside from the 200-square-foot cottage where they live ("We spend most of our time outside," Walter Jeffries notes) — the 1.6-million-pound poured-concrete abattoir and butcher shop is the farmers' first large-scale project. Every function that will be performed in the new building — cutting, smoking, brining, sausage making and slaughtering — requires its own state and federally approved HACCP food safety plan. Many operations also require separate licenses. Walter and Holly Jeffries built code compliance into their design, engineering the space for food protection. They sealed all interior surfaces, glazing the walls with impenetrable polyurethane to withstand spray-downs with powerful cleaning acid. Wall-mounted brackets keep equipment off the floor, where liquid and debris could collect around its feet, while curved corners where walls meet the floor make for thorough, efficient mopping. There are few nooks and crannies where bacteria could hide, and everything can be hosed down. Though the work is far from over, major construction wrapped up in July on the certified abattoir and carcass-hanging area, cutting floor, kitchen, rooms for brining, smoking and charcuterie, packing and administration areas, coolers, and freezers. As of October 15, the Jeffries family will be cutting and packing on-site. Slaughtering, smoking, curing and other processing will wait until Sugar Mountain files those HACCPs, obtains licensing and installs the needed equipment. Near the shop entry is a small office and bathroom for the state inspector, who for a while will be present whenever meat is cut. Later, as the farmers prove they can consistently meet food-safety standards, she will conduct spot checks. When Sugar Mountain begins slaughtering, that office will accommodate a federal inspector whenever animals are on the kill floor. Walter Jeffries expects this to happen in about three years; in the meantime, Holly will continue trucking pigs to Adams Farm Slaughter in Athol, Mass. Rather than resent the inspectors' oversight, Walter Jeffries seems to welcome it as a valuable resource. He has detailed the process on the farm's website, producing what amounts to a how-to manual for every rule, regulation, permit and procedure. "There is a perception that this is impossible to do," Jeffries says of processing animals on-site. "[But] it is very possible, and people can do it themselves." Though the project began abruptly, Jeffries says he had been thinking about it for a long time. He and Holly purchased the historic farm as a maple property in 1989. Its 1,000 acres supplied a vast sugarbush, timber lots and enough rolling fields for a small animal operation. In the 1990s, the farmers kept sheep and sold lambs for meat. "Raising sheep taught me that processing costs were a big issue," Jeffries says, "so I knew that someday I would build [a butcher shop]." 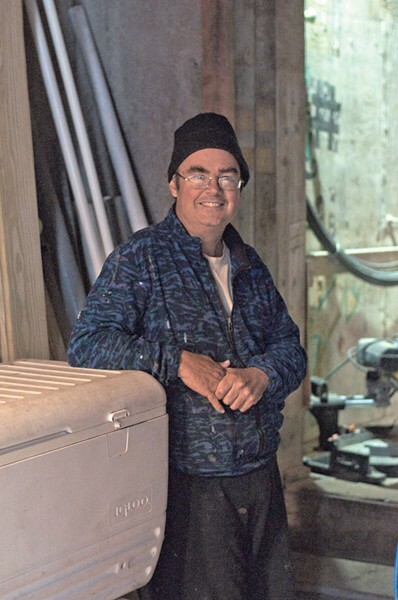 But lambs didn't really pay the bills, and, after a brutal ice storm devastated most of the farm's maples in 1998, the farmers searched for another income stream. Pigs seemed like a solid plan. Standing in the bluish shade of a pasture, surrounded by sows and piglets, Jeffries observes simply, "Everyone likes bacon." 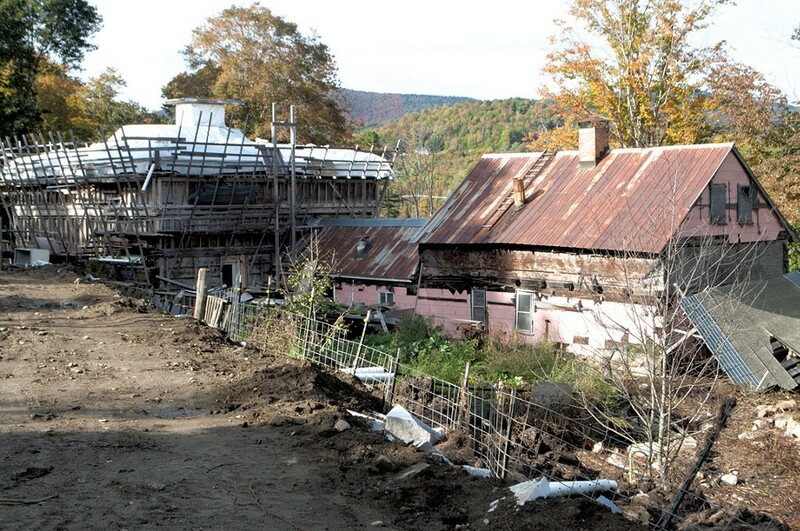 Sugar Mountain's pig business began with four sows and a borrowed boar in 2003. 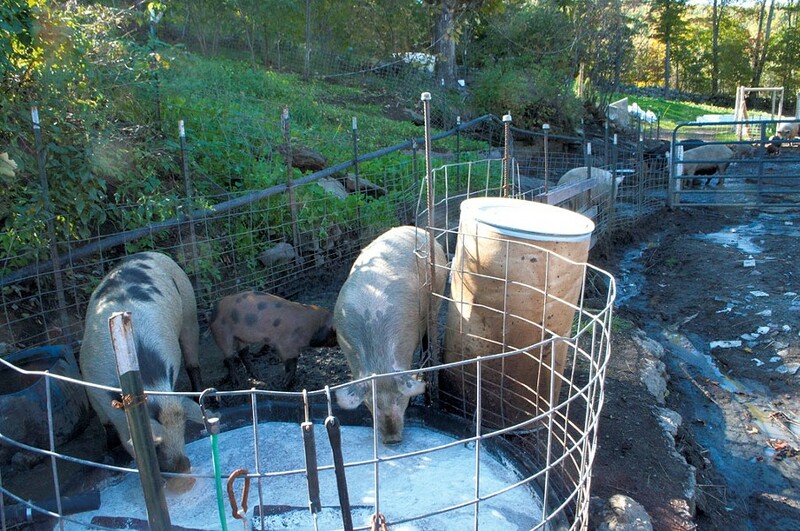 Compared to sheep, pigs have high fertility rates and robust sexual appetites. One sow, left to a boar and her own devices, can birth 30 piglets in 12 months. Most piglets will swell to 300 pounds in their first year. A decade later, the farm's 60 to 80 breeding sows (the whole herd numbers from 200 to 400 animals) produce thousands of piglets per season. Most of them land on plates within nine months of birth. Cutting and packing that meat at home will save Sugar Mountain $150 per animal in processing costs. That number will grow when the farmers begin slaughtering on-site. That's a lifetime away for today's piglets, who trot in small packs through pastures seeded with kale, turnips, clover and other cultivars, nursing en masse from any mama who calls to them. In one field, a sow rears onto her hind legs, tosses her head and descends the hilly field in leaps and bounds, piglets in tow. "We call her 'Dancin,'" Jeffries says with a grin. Across the road, a round hill is splashed with fall's orange, gold and crimson: Topsham's foliage is in full swing. Though autumn will bring new struggles and joys to every Vermont farm, this fall ushers in a new era — one of greater independence and, hopefully, income — for Sugar Mountain, as the farmers take meat cutting into their own hands. The original print version of this article was headlined "DIY Chop Shop"